It’s Speedy Tuesday! I remember that a few years ago, I wasn’t too fond of all the limited edition Speedmaster Professional models that were being introduced. However, over time that changed a bit – although I still do not “get” all of them – and I am now looking forward to Baselworld each year to see if there is a mission patch model or limited edition in the new collection. 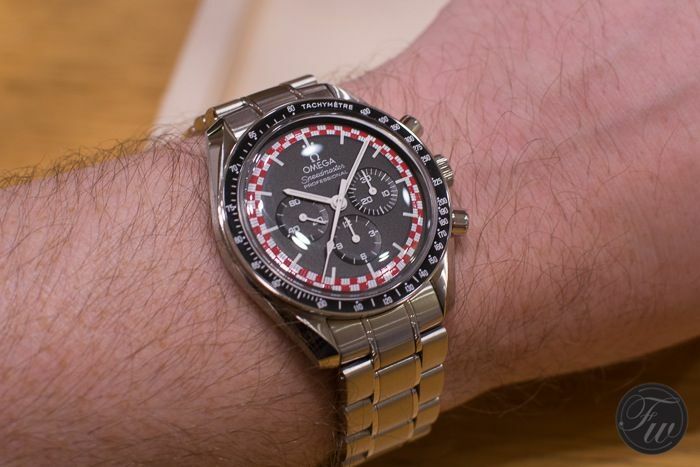 One of the biggest regrets I had when it comes to watches, is that I did not buy the Omega Speedmaster Professional ‘Snoopy’ when it came out in 2004. 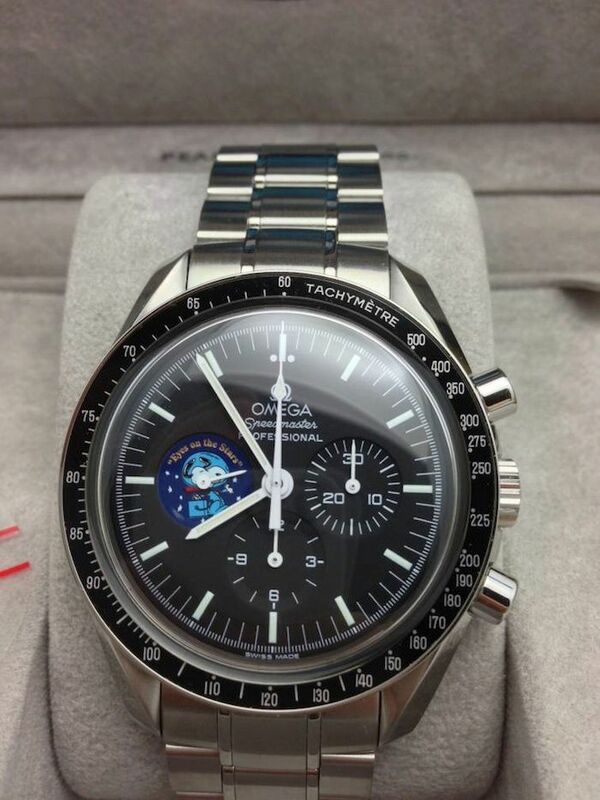 I’ve come so close to pull the trigger on a Snoopy Speedmaster a few times, but it was either too expensive in my opinion (which I regretted later again) or not complete with box and papers. Some months ago, I got in touch with a OmegaForums.net member from New York City and he offered me a complete Omega Speedmaster Professional ‘Snoopy’ in top notch condition. 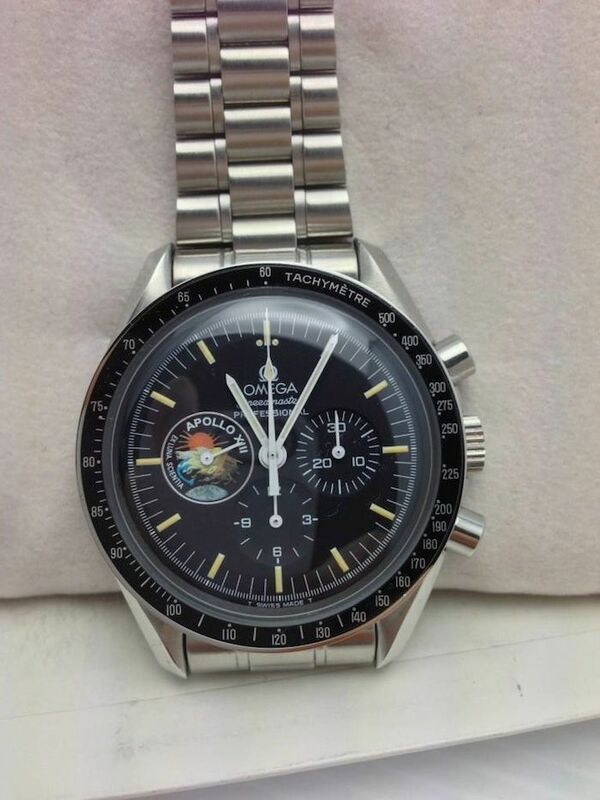 Additionally, he also offered me a Speedmaster Professional Apollo XIII in the same perfect condition. The latter one (1995) is limited to 999 pieces where the Snoopy model is limited to 5441 pieces. Hardly limited you’d say, but since the demand is quite high it becomes difficult to get one for a decent price. In any case, I decided to go for it and discussed the possibilities of shipping the watches from New York to my home. The price of shipping two watches didn’t bother me that much, but the risk of losing the watches in the mail was what worried me. 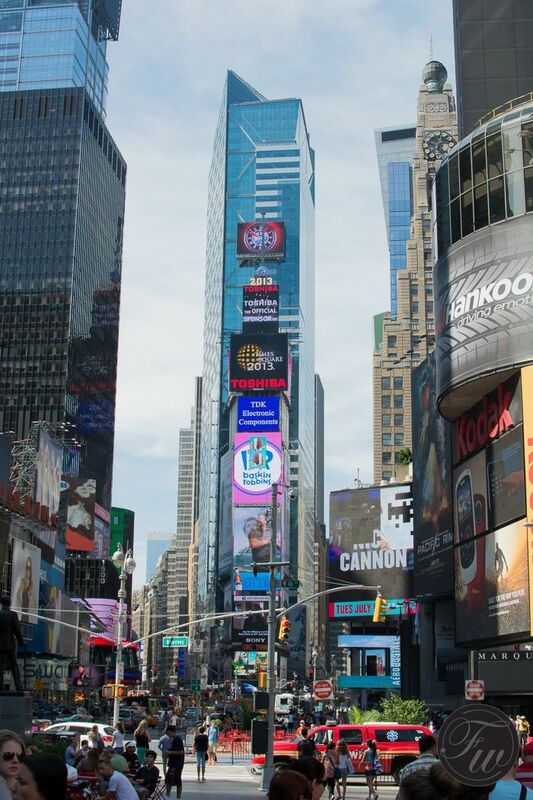 So, in the end I decided to just book a ticket for the shortest period possible (3 days/2 nights) in New York City and a cheap hotel to get the watches. 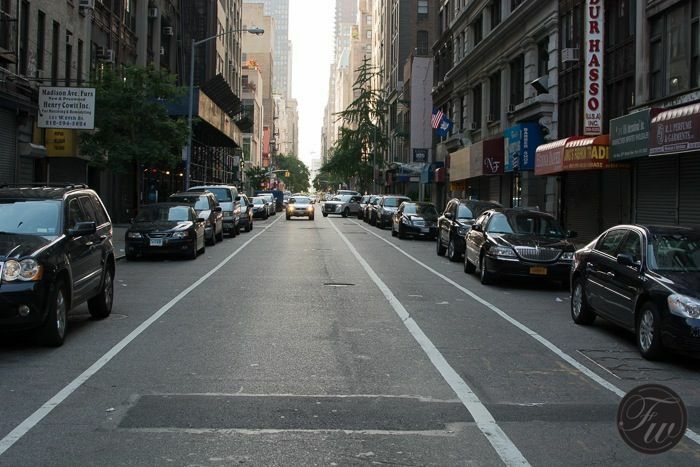 Unfortunately, it was in the first week of July when the holidays started, so cheap and New York City didn’t go together well. But anyway, I was on a mission. Some other Speedy enthusiasts from the Australian based OmegaForums.net website also chimed in and we decided to have a small collector’s diner in NYC. 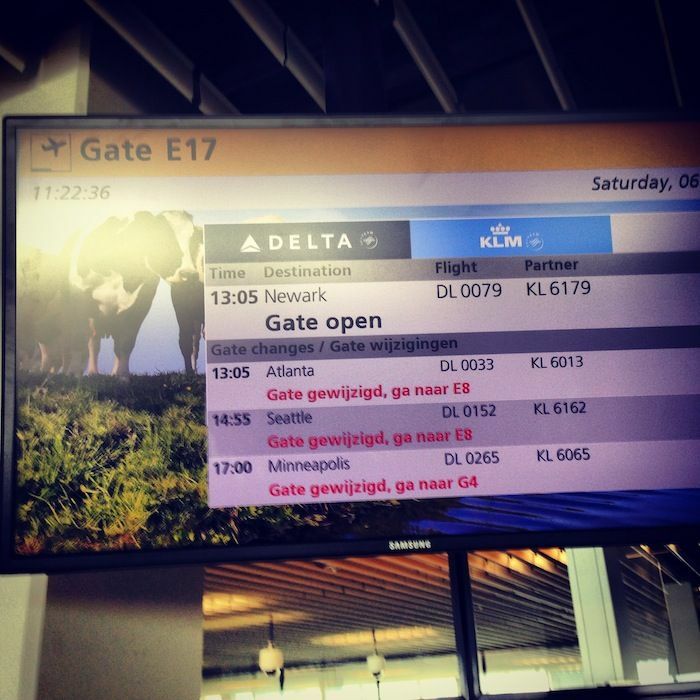 So, flight book and off I went! 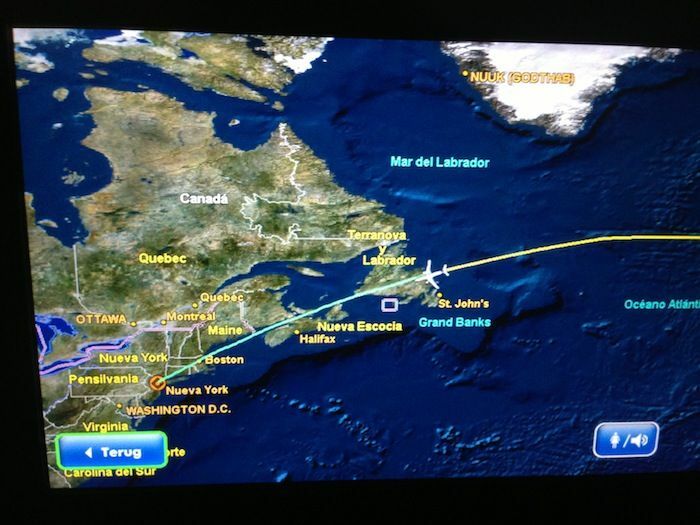 Once arrived in New York City (after an 8 hour flight) I took a taxi from Newark to NYC. 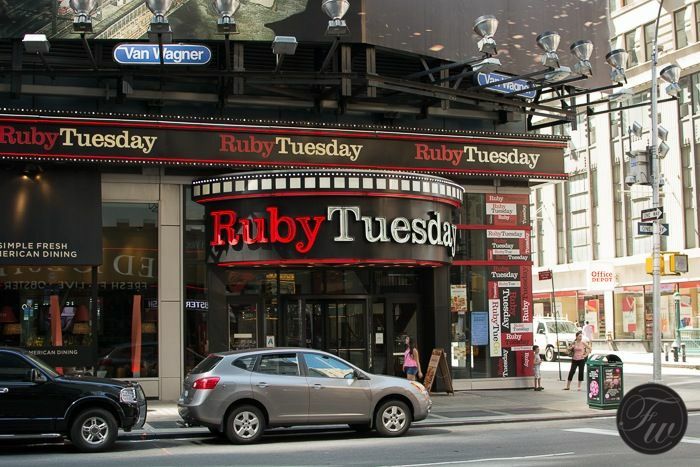 As the difference in timezones already started to bother me, I decided to walk around a few blocks to do some shopping (to get some of the ticket fee back ;)) and headed to the hotel. 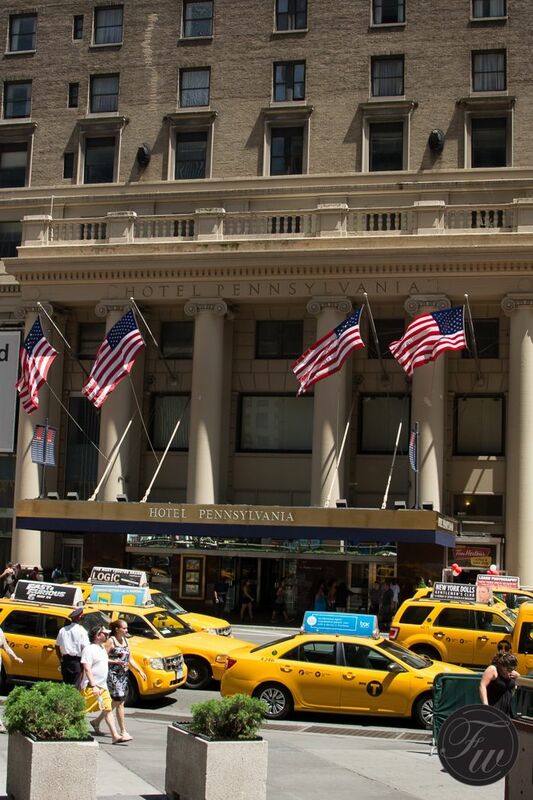 The Pennsylvania Hotel in New York is a real tourist thing.. lots of rooms, cheap and bad quality (everything). For just two nights, I thought it was acceptable but if you want to have a nice and relaxed stay, don’t go there. Go for a ‘W’ hotel or something. In any case, jet lag hit me bad and I was awake at 3:30 in the morning. 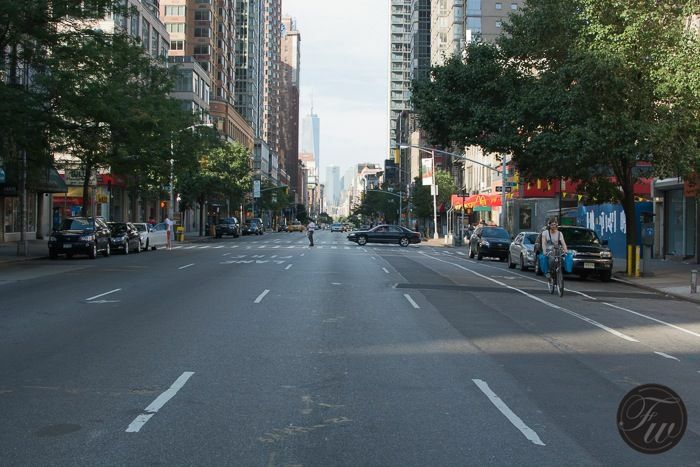 I was the first at the breakfast diner at 7:00 and I seemed to be one of the first in the streets at 7:30 as well. Luckily, the Apple store on 5th Avenue in New York is open 24/7 so I decided to go there and see if there was anything I ‘needed’ from them. As I’ve said, it was early. 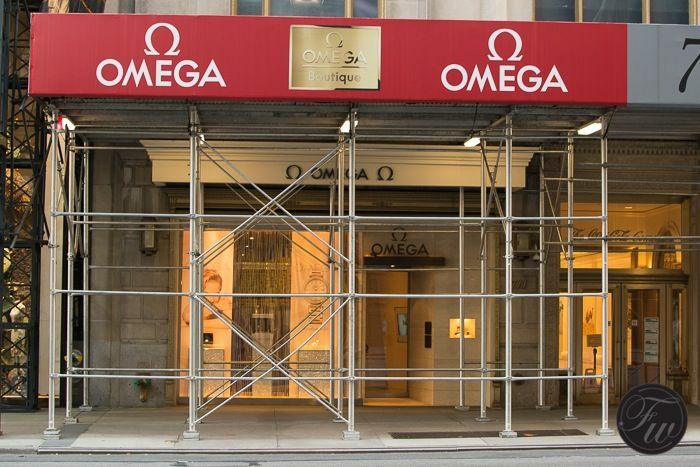 After a few hours of strolling around most of the shops and boutiques opened up and I decided to go to the Omega boutique on 5th Avenue and see what was up. 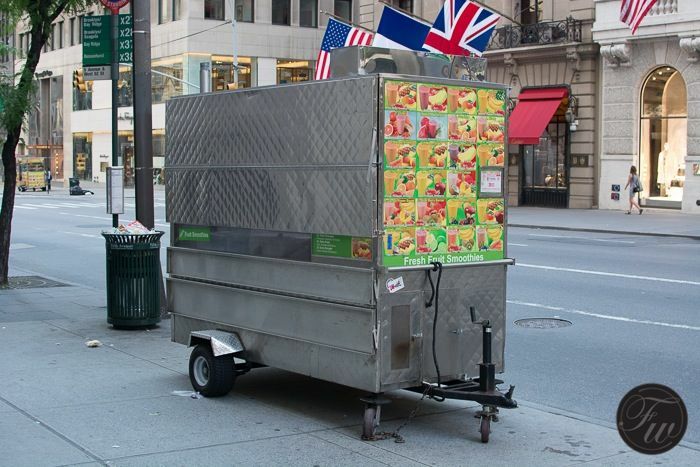 The boutique is located at one of the top spots in New York City but unfortunately for the picture, there was some work in progress at the front side of the shop. I was friendly greeted by the New York boutique manager, Mr Carlos Cruz and very quickly we were discussing all kinds of Speedmaster watches. I tried the Speedmaster Tintin (which we introduced to you here) and the Apollo XVII model. The Speedmaster Tintin actually looks very nice on the wrist and the story with Herge’s Tintin makes it an even cooler watch. The Apollo XVII is a watch that commemorated the 40th anniversary of the Apollo 17 mission (or ‘Last Man on the Moon’ mission) but I am not sure whether I like it. The biggest con is the printing on the sapphire crystal, although I don’t know any other way how they could have done it better. The watch is just not readable and I think a Speedmaster (Professional) should always be a readable and legible watch. Other interesting Speedmaster watches in the store were the Apollo XV (click here) and the Apollo 11 40th anniversary in platinum (we reviewed it here) with a signature of Buzz Aldrin on the wooden box. All in all, a boutique definitely worth visiting when in New York and if you are into Speedmasters (or Omega in general). After my visit to the boutique I went back to the hotel, got my gear (and took a shower, 35 degrees Celsius in a city like NYC is not very funny). I was the first to arrive in an hotel lobby near Time Square, but soon already the others joined as well. Finally, the boxes came on the table and I was pleased to see that everything was according description and photos that the seller sent me. 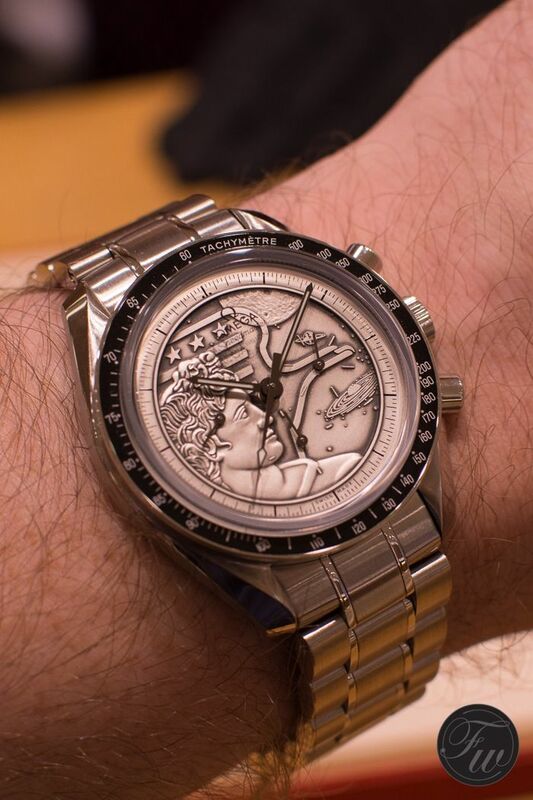 A wonderful Speedmaster Snoopy edition and an Apollo XIII mission patch model. In another Speedy Tuesday article we will do a photo shoot of the whole set, as the boxes and papers (certificates) that came with these watches are definitely worth showing as well. 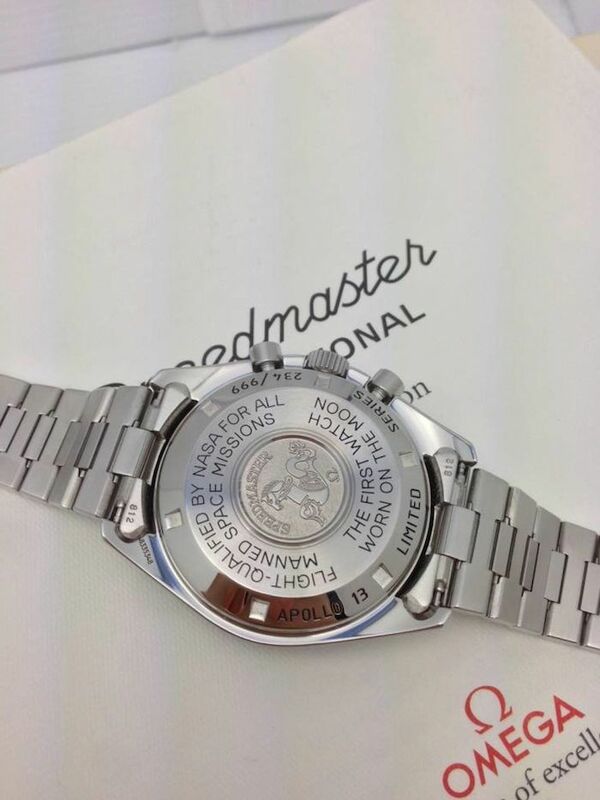 As often discussed here, the Omega Speedmaster Professional Snoopy commemorates the role that the Speedmaster played in the Apollo 13 mission in 1970. Even though there are some discussions whether any other watch could have done the proper timing aboard of the Apollo 13 capsule, my believe is that they are probably right. However, the Speedmaster Professional was the only watch that passed for all rigorous NASA tests in 1965 in the first place. So, who knows. Even though the Omega Speedmaster Professional Apollo XIII watch was a bit of collateral damage for me with regards to this deal, I do love it! The bracelet is of the sought-after 1479 reference (a hair puller though!) and the dial has a fabulous patina on the hour markers and hands. The mission patch on the normal seconds counter has a wonderful mix of colours. 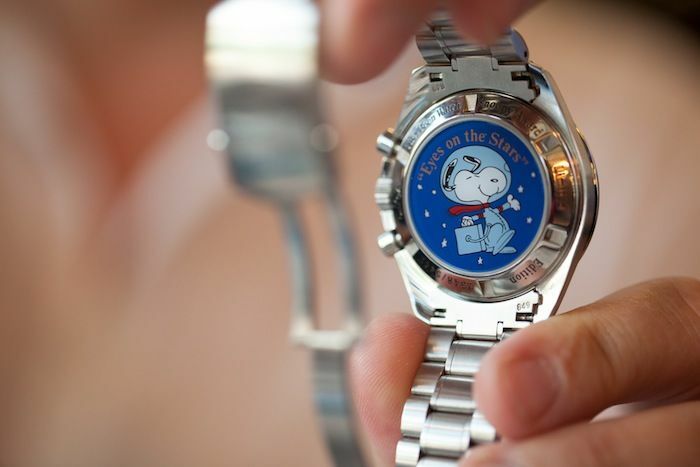 Although I like Snoopy on the other watch, the color-way on this dial is much more expressive. 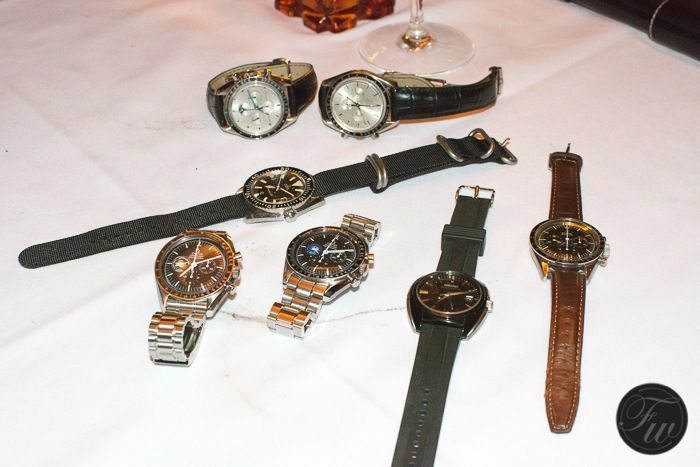 After some of the others also got their watches (a beautiful white gold Moonphase model switched owners, we reviewed a similar watch here) we headed for the Benjamin’s steak house. Recognize the other white gold watch? We reviewed the 25th Anniversary Speedmaster Professional Chronometer from 1994 in white gold here. There is also a nice vintage Omega Seamaster 300 in this picture. The black watch is a Seiko, model unknown to me. You will always have copy cats.